Is this country ready for the drone revolution? Baby steps, says the Federal Aviation Administration, which on Thursday unveiled its new roadmap for releasing drones into the U.S. airspace. Among the recommendations under consideration: Drone pilots will get certification, drone designs must meet minimum standards, and a pilot flying the machine will be responsible for the craft during flight. The FAA has also specifically and officially acknowledged that it would take on the responsibility of regulating privacy, in addition to safety, a shift in the administration's stance so far. As logical as some of this seems, much of the flight plan for future drones had been vague. The FAA's three new documents outline the next steps in safely integrating drones flown by commercial entities, an expectation the group is mandated to fulfill by 2015, moving us a step towards a future when packages or pizzas are delivered to our doorstep by intelligent flying robots. Thursday's release includes a general roadmap for fitting drones into national airspace, as well as a "comprehensive plan" for safety recommendations. In a third document, the FAA also chalked out privacy rules for drones used on FAA-selected test sites, the first locations that will receive permission to fly the machines en-masse for research and development. "They seem to have recognized the necessity of addressing privacy and civil liberties in integrating drones — even commercial use of drones," Ryan Calo, assistant professor of law at the University of Washington, told NBC News. The 73-page roadmap makes a specific reference to how they'll go about doing so. In a section describing privacy and civil liberties considerations, the document mentions the Fair Information and Practice Principles, guidelines that the Federal Trade Commission uses to regulate how information collected by commercial electronics are used. "Requiring public disclosures of data use and retention policies, as well as mandating audits, are needed and welcome safeguards," Christopher Calabrese, ACLU legislative counsel, said in an email statement to NBC News. It's crucial, he added, that "protections are followed by concrete restrictions on how data from drones can be used and how long it can be stored." Along with privacy, security — digital protections that will keep the machines from being hacked — is another concern on the minds of those who study drones. The FAA nods to that too, identifying radio or datalink security, to protect the systems against vulnerabilities, as an area ripe for research and development, along with control and communications in general. So-called "sense and avoid" technologies, which would keep drones from crashing into things, and human-factors design — creating systems that are streamlined for humans to use intuitively without intensive training — are two other research focus areas that the FAA has recognized as well. 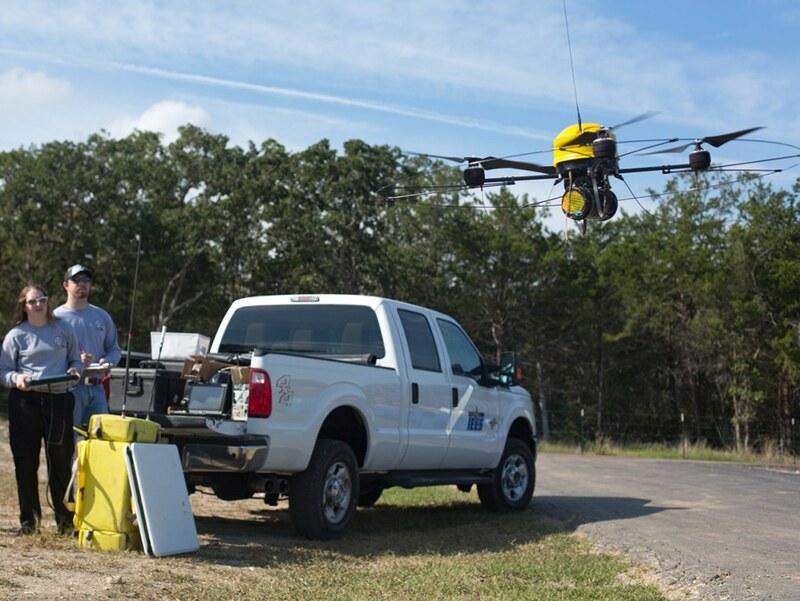 Today, hobbyists can fly their private machines without restriction, provided they follow the guidelines for flying remotely operated aircrafts issued the FAA. But the handful of law enforcement groups, research organizations and companies who fly their drones must first seek permission from the FAA, and can only fly their machines according to the limitations listed in their FAA-granted Certificates of Authorization. 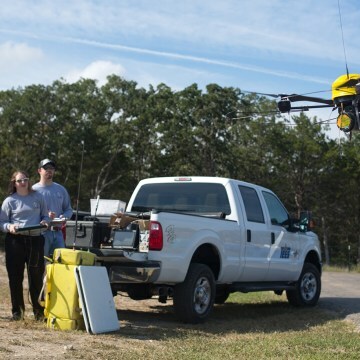 "So far I like what I see," Lawrence Brinker, general counsel at the Northeast UAS Airspace Integration Research Alliance, a group that that has applied to become a drone test site, told NBC News. "The FAA has not said much since May when we submitted our application," he said. "For us, this is a good sign that FAA can move forward and select the test sites." The group expects a decision on selections by December. Nidhi Subbaraman writes about technology and science. You can follow her on Facebook, Twitter and Google+.